Fun summer vector art graphic with laughing sun. 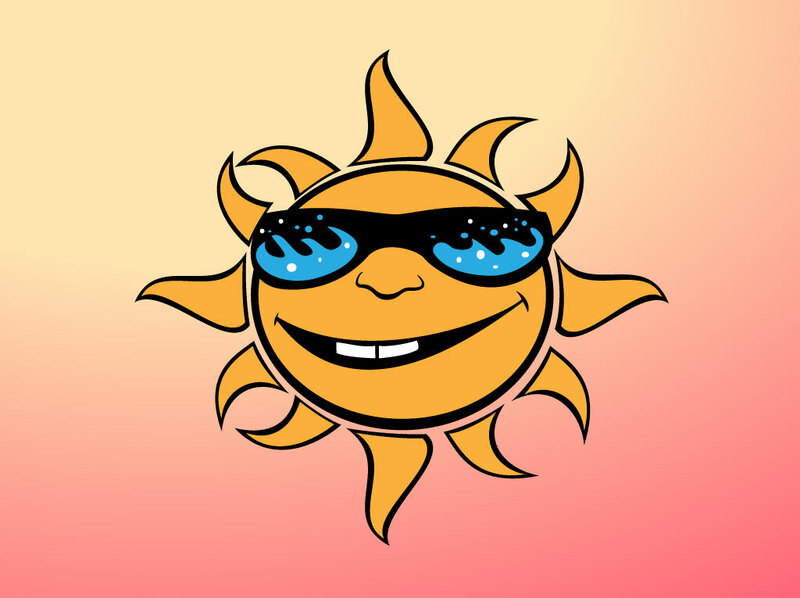 Cute and playful hand drawn vector smiling sun graphic with sunglasses. Happy sun cartoon style artwork with black outlines set on an orange and yellow gradient background image. Free download for your summer themed tattoo designs, comic illustrations and fun t-shirt art. Tags: Comic, Fun, Happy, Joy, Shining, Smiling, Summer, Sun Vector, Sunny.